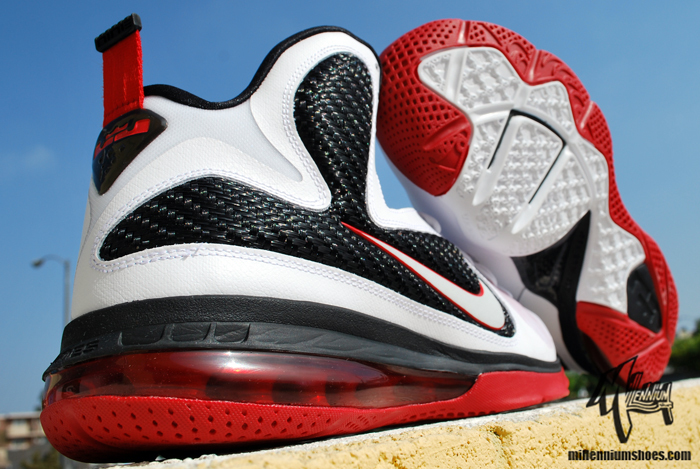 The Nike LeBron 9 in a traditional white, black and red home colorway. 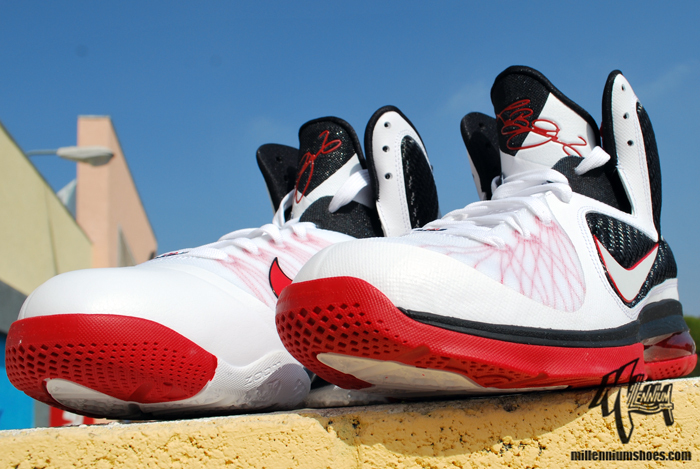 Set to follow-up tomorrow's release of the Nike LeBron 9 road colorway is this white-based pair matching the Miami Heat's home uniforms. 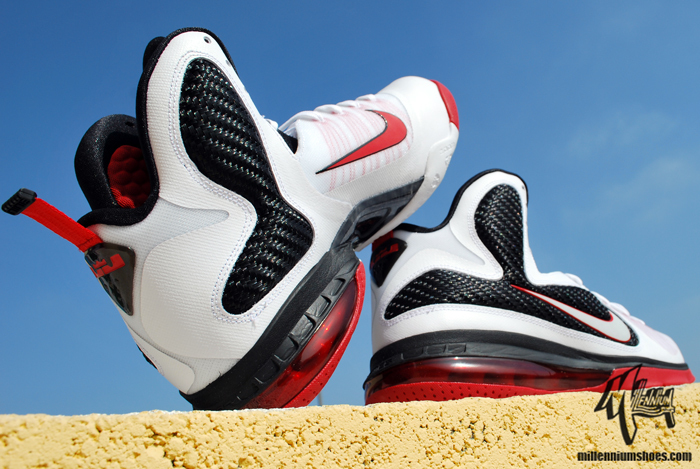 Currently arriving at retailers preparing for their November release, this particular pair of the LeBron 9 sports the traditional color combination of white, black and sport red. White is utilized throughout the Flywire and Hyperfuse constructed upper, while sport red accents on the Flywire, Swoosh outline, tongue signature and parts of the outsole. Black completes the Heat-inspired colorway, handling the lateral stability wing, midsole and other areas throughout. The Miami Heat Home colorway of the Nike LeBron 9 is scheduled to release November 4th at all authorized Nike Basketball retailers.